The cooking instructions I’ve included below work for the brand of ice cream maker I have. However, make sure to follow the instructions for your machine for best results. 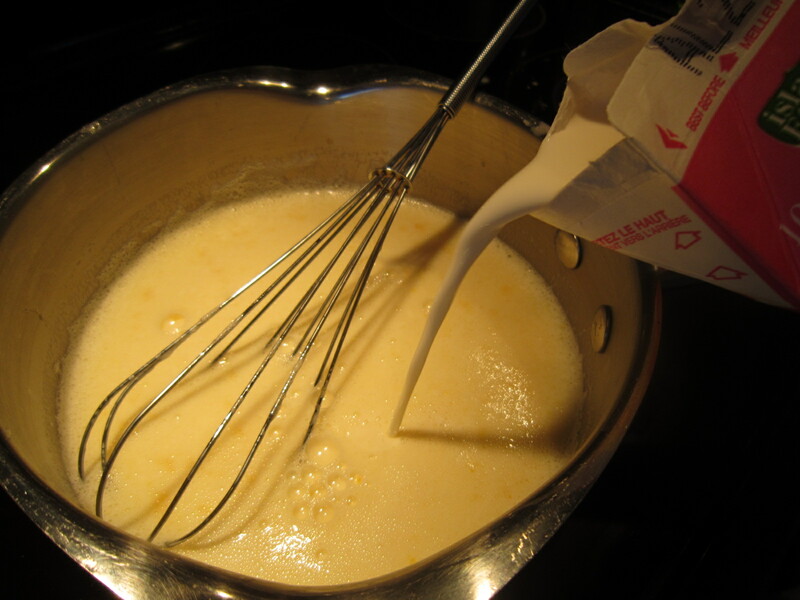 Cooking Time: 20 minutes to make the cream, then refrigerate overnight. About 20 minutes of hand cranking the next day, before serving, to turn it into something more closely resembling ice cream. 1. 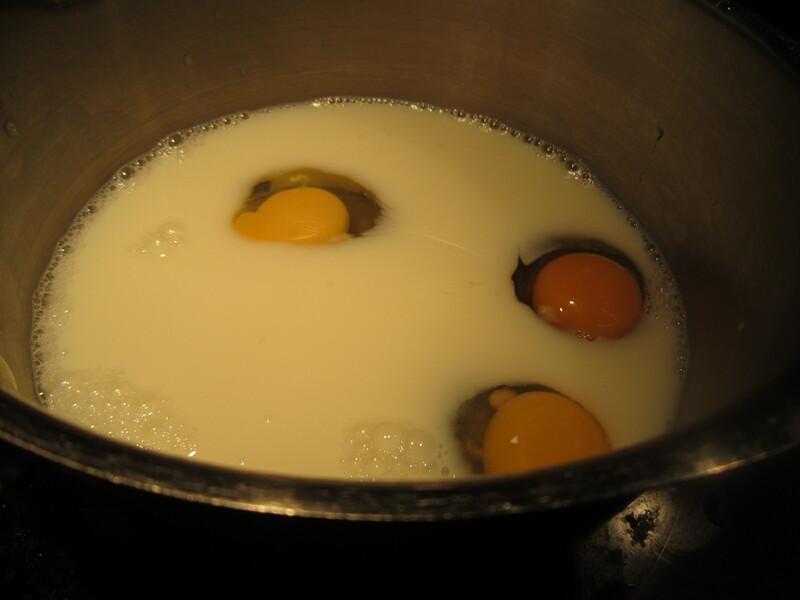 In a large saucepan, whisk together the eggs and the milk, then add the sugar. 2. Cook over low heat and keep stirring constantly for about 10 minutes. 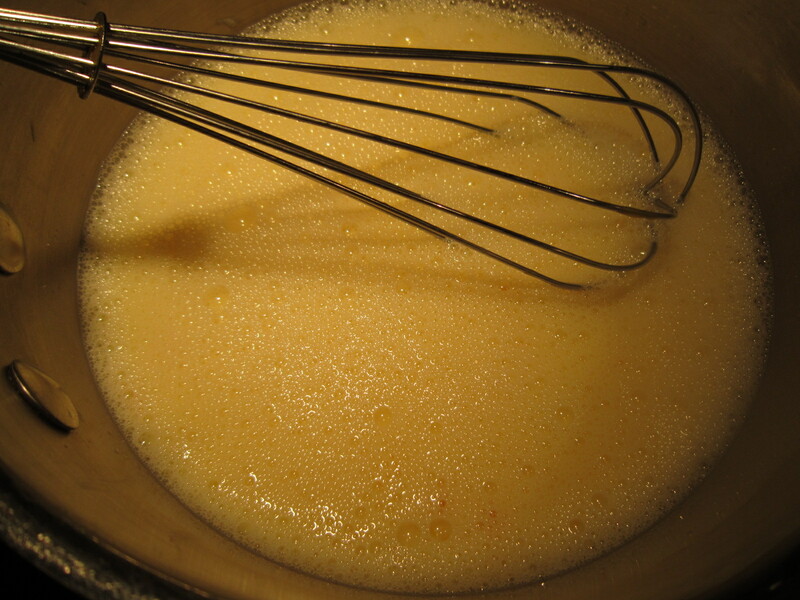 The mixture should begin to thicken. 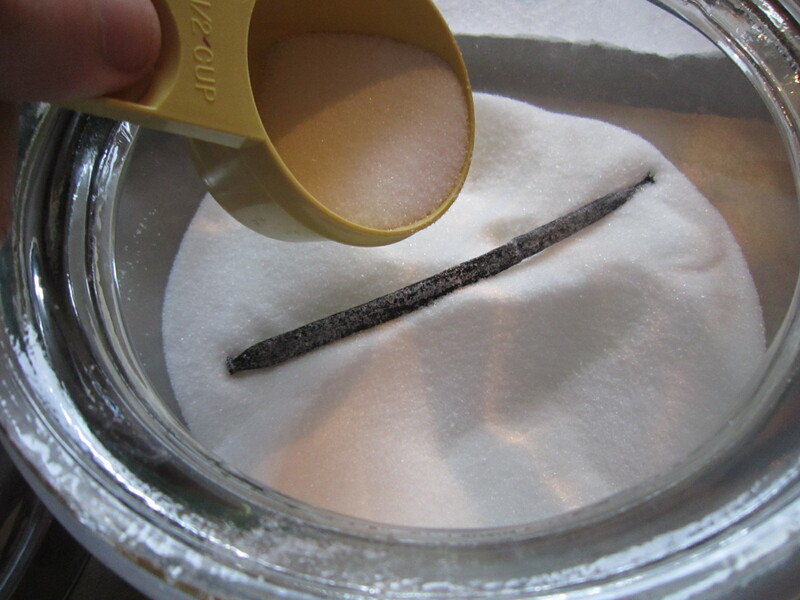 Remove from heat and let cool for 10 minutes, then add the cream and vanilla extract and stir. 3. 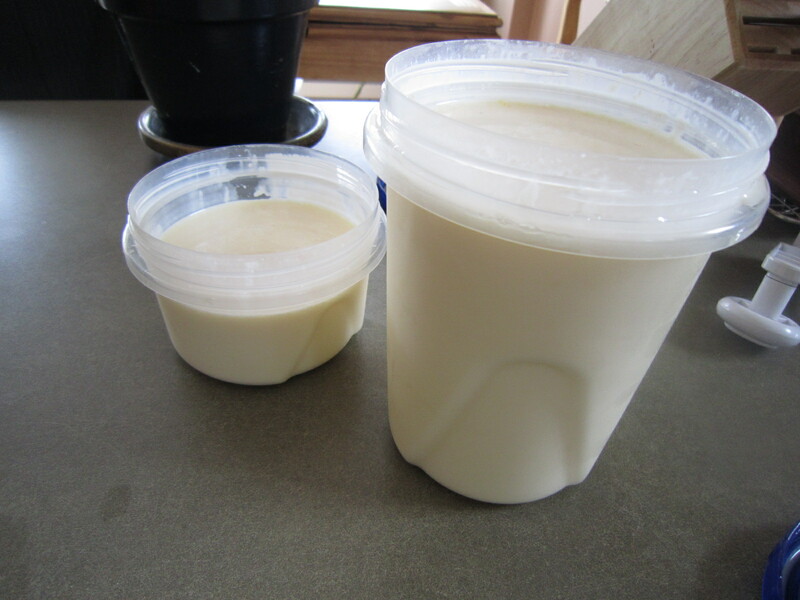 Refrigerate overnight in an airtight container. 4. 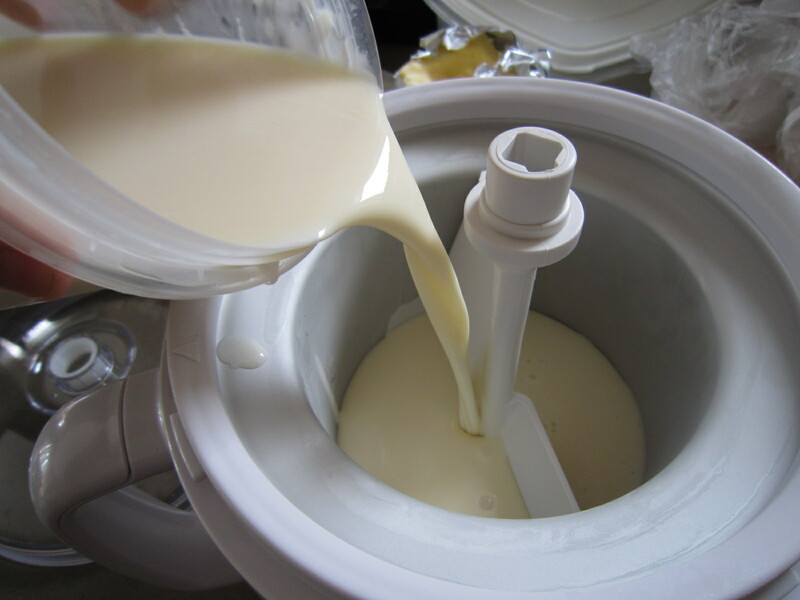 About 25 minutes before serving dessert, prepare the ice cream maker (in the case of my brand of machine, I removed the empty, frozen cylinder from the freezer, where I placed it the day before). 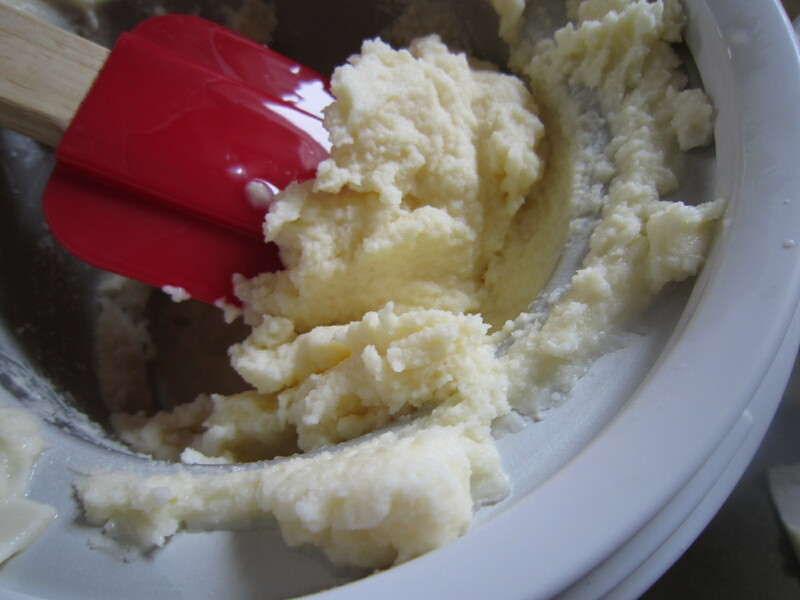 Pour the cream mixture in the cylinder and follow your machine’s instructions. Within 20 minutes, you will have enough dessert to feed the entire table. If you have leftovers, as I did, place them in airtight containers and store them in the freezer. 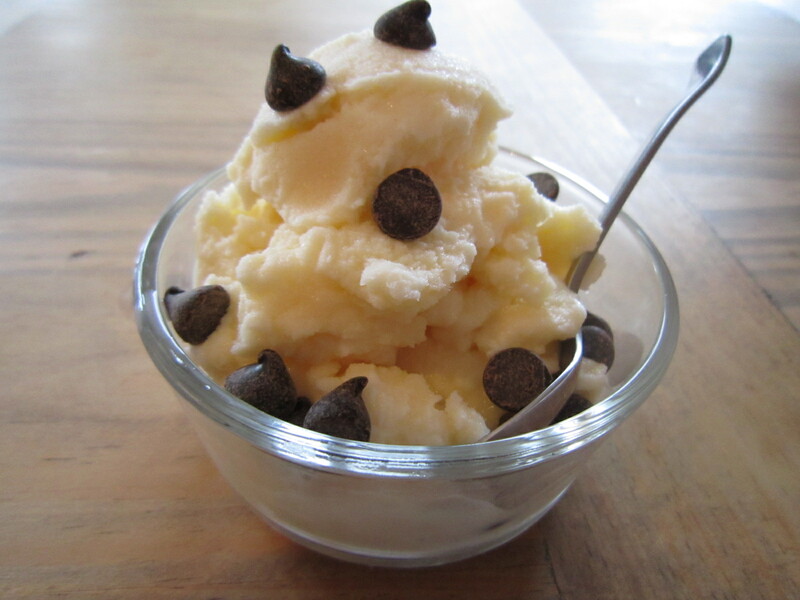 Note that the ice cream will become hard once left in the freezer for more than a few hours and probably won’t be as good and rich as that first bite. A good excuse to overindulge in one sitting. 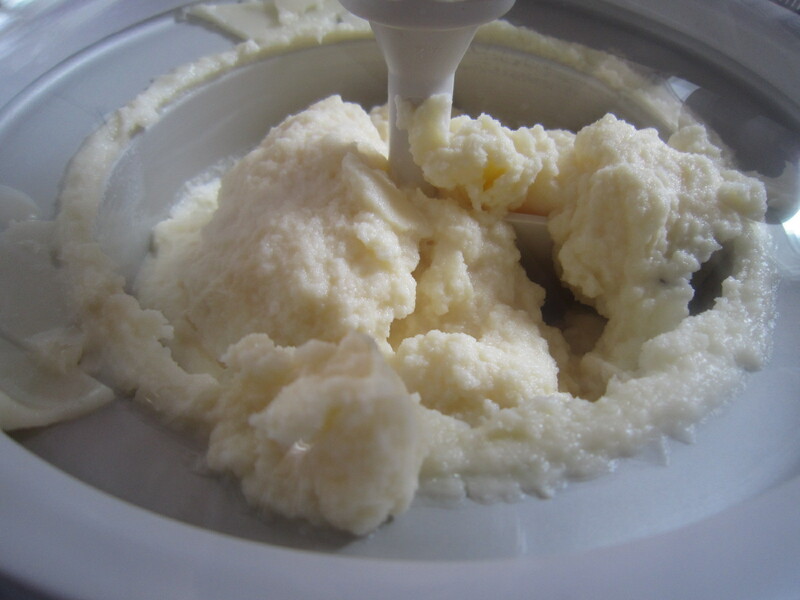 This entry was posted on Friday, July 15th, 2011 at 9:10 pm	and tagged with dessert, food programme, french vanilla ice cream, gelato, homemade, ice cream maker and posted in Desserts. You can follow any responses to this entry through the RSS 2.0 feed.